Having a support system is vital when heading back to school as an adult learner. And for Melissa and Brian Phillips, their support system was right by their side as they attended class. In 2013, Brian Phillips was beginning to mentally prepare himself to head back to school. He knew that he would need to achieve a degree in order to advance from his current role. That’s when Brian met Melissa. Melissa had already obtained her associate degree from Harrisburg Area Community College, but she had done it 10 years prior, so, she too had been thinking of returning to school. As the sparks flew, so did the ambition. The couple decided to challenge one another to go back to school and finally earn the bachelor’s degrees they had always wanted. Brian heard of Peirce College through fellow co-workers and service members of the PA Army National Guard, so he encouraged Melissa to become a fellow classmate and attend Peirce together. They both chose programs based on their current positions. For Melissa, that meant the Business Administration program, which complimented her current work as an Operations Manager at The Hershey Company. Brian, meanwhile, went with the Information Technology program to compliment his current work as a Network Administrator for the PA Army National Guard. Throughout their college experience, Melissa and Brian grew to be more than just a classroom support system for one another. They officially tied the knot on March 26, 2016. Following marriage, the couple was only a little over a year away from another great milestone – college graduation. As of June 8, 2017, both Melissa and Brian became official Peirce College graduates, earning their bachelor’s degrees. As they passed that milestone, a new one came into view. Melissa and Brian are expecting their first child October 2017! 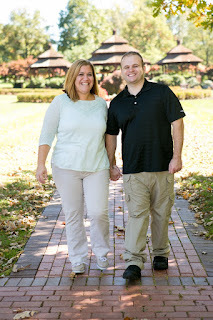 Everyone at Peirce College is excited for all that Melissa and Brian have accomplished, individually and as a couple. We wish them nothing but the best for all of their future adventures as husband and wife, college graduates, and soon-to-be parents. If you or someone you know is ready to advance in their current career by earning a degree like Melissa and Brian did, connect with an Enrollment Specialist today at 215.670.9214 or admissions@peirce.edu to learn how you can take the first step to making your dream reality. Commencement 2017 – Relive the moments!